FOMS 2015 took place end of January. It was a great success check out the Sessions? for discussion details. Interested in Attending or help organizing the next one? Join the foms mailing list and drop us a line. 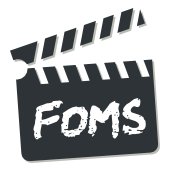 FOMS 2015 will be taking place on January 30th to 31st in conjunction with FOSDEM open source software conference which will take place the 31st and 1st of February. January 30th will be a workshop day were attendees will present position statements; followed by focused breakout sessions. January 31st FOMS will have a devroom in the larger FOSDEM conference. This will be a good opportunity to present open media milestones and roadmaps to the broader open source community. February 1st, there will be many additional interesting talks at the larger FOSDEM conference to attend as well as spaces to work on open media collaborations. For more information see the Schedule? page. We would like a rough head count as soon as possible, please register your Interested in Attending section and sign up with event-bright once that is available. FOMS will try and give confirmation to speakers of the dev room prior to the deadline to help individuals confirm logistics.